Janhvi Kapoor is all set to rock the 70mm screen with her debut film Dhadak along with Ishaan Khatter. The Kapoors are leaving no stone unturned to make sure that Janhvi impresses masses and establishes herself as a credible performer in the industry. 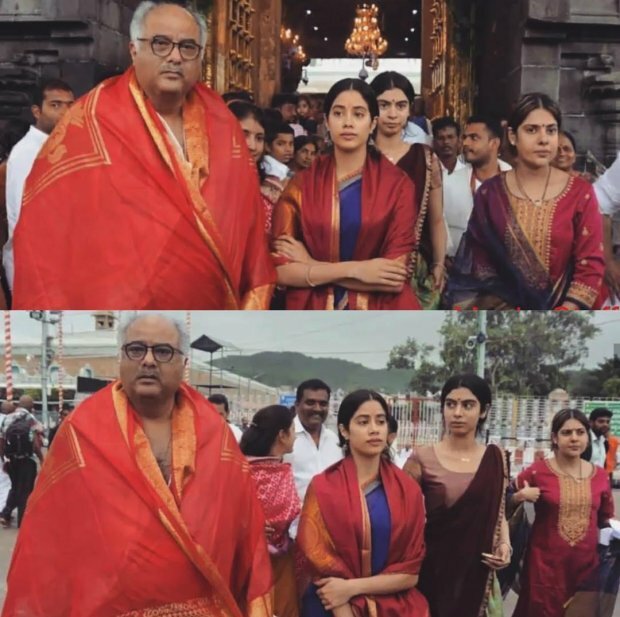 Over the weekend, Janhvi went to Tirupati – Tirumala temple along with dad Boney Kapoor and sister Khushi. Together, they prayed for her impending release. 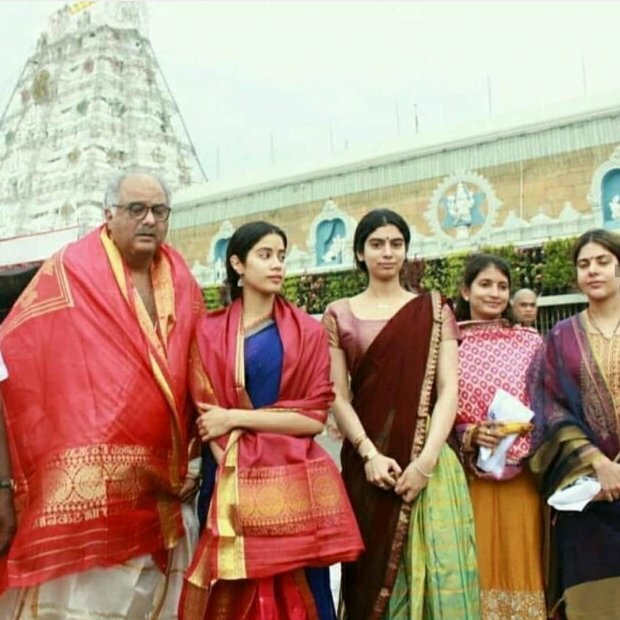 The Kapoors followed late Sridevi’s tradition as the veteran actress has her roots in the holy town of Tirumala and used to visit the temple from time to time. Her children too would accompany her and are now taking the tradition forward, in her absence. She sure would have been proud of her kids! 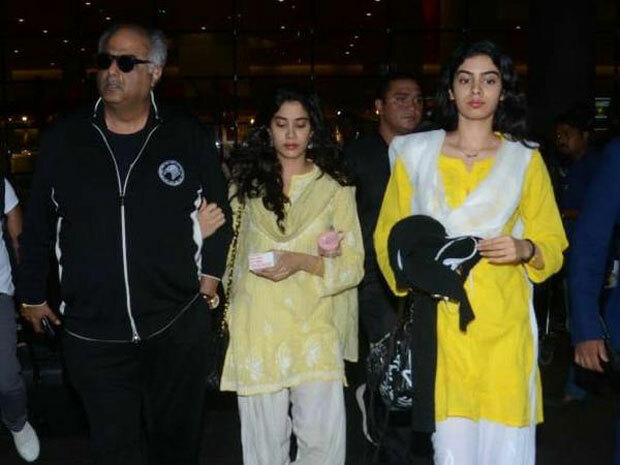 After Sridevi’s demise, Boney’s family supported Janhvi and Khushi and stood by them in this difficult time. Their step siblings Arjun and Anshula Kapoor gave them a lot of support and motivation. When Dhadak trailer was being released the entire extended family stood by Janhvi literally and figuratively. Both Arjun and Anshula posted heartfelt messages for the budding actor and wished her well. In her recent interview to GQ, Janhvi said she wants to make her parents proud with her debut film and it is a tribute to her mother who was so invested in her career. Dhadak will release on July 15 and is an official Hindi adaptation of Sairat, Nagraj Manjule’s HIT Marathi flick. The movie will showcase Janhvi and Ishaan are modern day Romeo and Juliet. The film is a commentary on the prevalent cast system and honour killing in the name of the same.